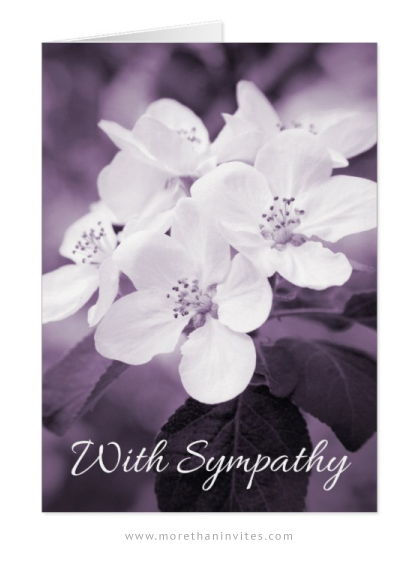 Beautiful sympathy card featuring white apple blossom and the text “With sympathy” on the front. The image has a purple tone. Custom text inside: “We are so very sorry for your loss. May you find peace and comfort during this difficult time”. Available from Zazzle.